Newtown Voices, Sue Cartledge’s debut verse novel, was published by Ginninderra Press in May 2017. 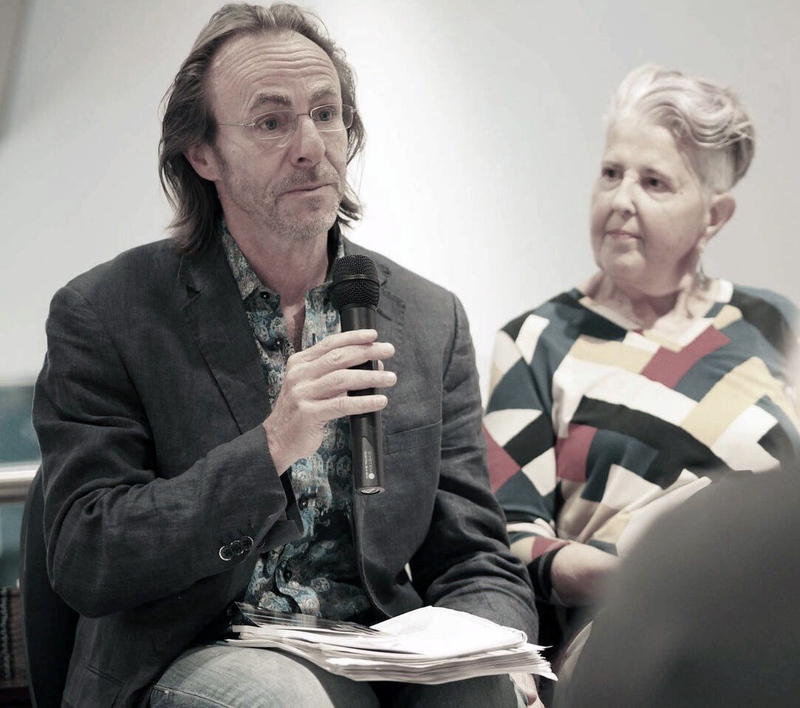 It has been launched twice: once in Newtown in June by poet and mentor Mark Tredinnick, then in Launceston in September by composer and musician Dr Karlin Love. A former Tasmanian, Sue has been writing short fiction and poetry for over 30 years, and attempted, but gave up on, two novels. 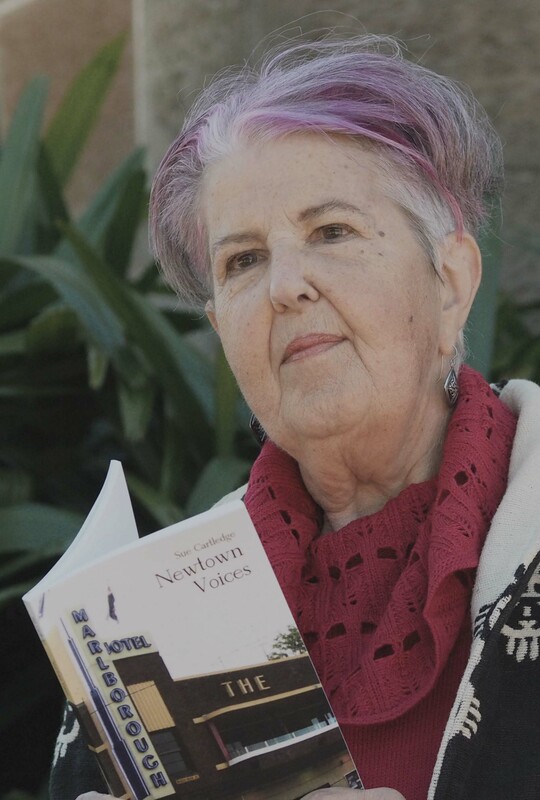 Newtown Voices was originally intended as a novel, but it was when Sue was encouraged to consider writing a verse novel that she and her characters found their voices. Newtown Voices is set in inner-city Newtown, the suburb where Sue lived for 12 years after moving to Sydney in 1997. Set in 1978, Newtown Voices grew out of her love for the then still daggy precinct. Life in Newtown 40 years ago wasn’t easy for anyone, except the ‘big boys’ running gambling clubs and brothels and other illegal activities. Corruption, stand-over tactics, bombings, horrific murders paved the big boys’ way to riches and power. But for the small fry, the poor, the single mums, the latchkey kids, the homeless, the ‘abos’, and the ‘wogs’ and ‘dagos’ life was a daily struggle. Four characters: locals Tom and Buzz, and newcomers Jaroslav and Harriet (Harry), tell of their lives against this background of violence, corruption, racism, sexism and homophobia, mirroring the political and social turmoil challenging Australian cities through the late 70s. Although set in the Sydney innercity, Sue says her stories of the events of 1978 have wider relevance than than just Newtown. “As I was researching the incidents I was fictionalising, although I was living in Newtown, I could see how they would play out in all of Australia’s major cities, and even, to a lesser extent, in regional towns. A ‘verse novel’? What’s that? Well, this one immersed me in the heads of four compelling characters whose voices are rich in accent, dialect, rhythm, and a kind of musicality. Their reflective monologues and regular reports from the Newtown Voice weekly paper create a puzzle with strong dramatic energy. I was hooked as I navigated non-sequential time and ambiguous names. Issues of marginalisation, injustice, corruption and unrest are, unfortunately, still as timely 40 years on. I’ve known Sue for a long time, though not her entire life. Newtown Voices is not autobiographical. Sue writes from what she knows with the authority that comes from a lifetime of careful observation. A verse novel. Not an epic Longfellow ballad. A verse novel, brimming with rhythm, colour, and characters that speak their very real, human minds. Way cool! MARK TREDINNICK, winner of the Montreal Poetry Prize.